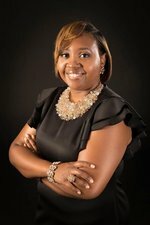 My name is Tanesha Payne Scott and I am excited to introduce myself as the new principal of Holly Springs Intermediate School. It is my belief that Holly Springs Intermediate School has the essential tools (resources, teachers, dedicated partners, and committed families) needed to foster a positive learning environment that causes students to soar within our school and beyond. I believe that these tools will give our students roots to grow and wings to soar. It is my belief that all of us working together will cause our students to have a passion to go to the moon. I am excited to begin working with you and the students at Holly Springs Intermediate School. I encourage you to become participators of our school and to help keep our students motivated and focused on achieving academic excellence.